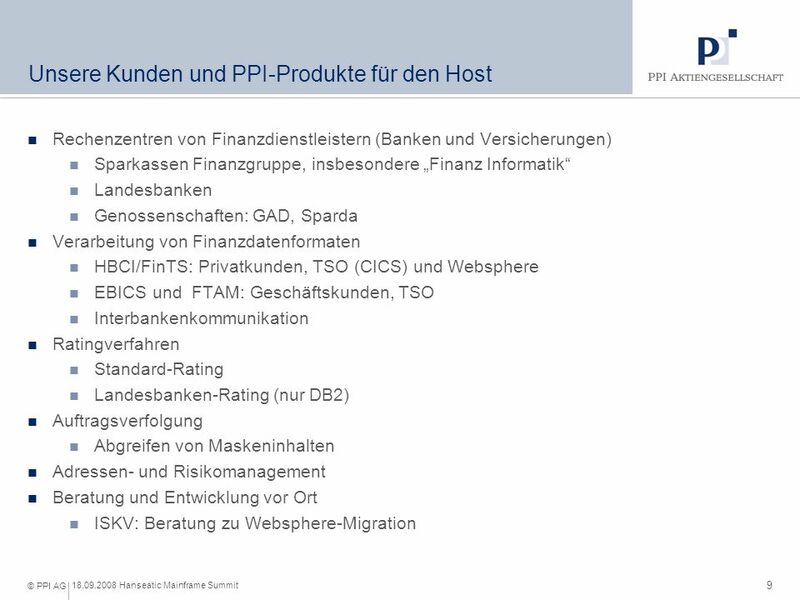 18.09.2008 Hanseatic Mainframe Summit Rolle des Mainframe bei PPI und bei unseren Kunden Dr. Christian Friberg. 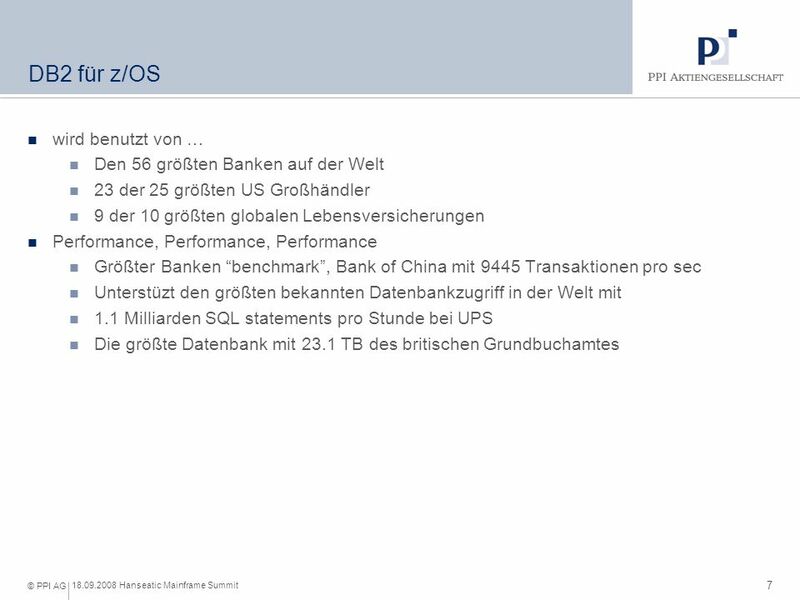 7 6 18.09.2008 Hanseatic Mainframe Summit © PPI AG Noch mal zur Bestätigung... 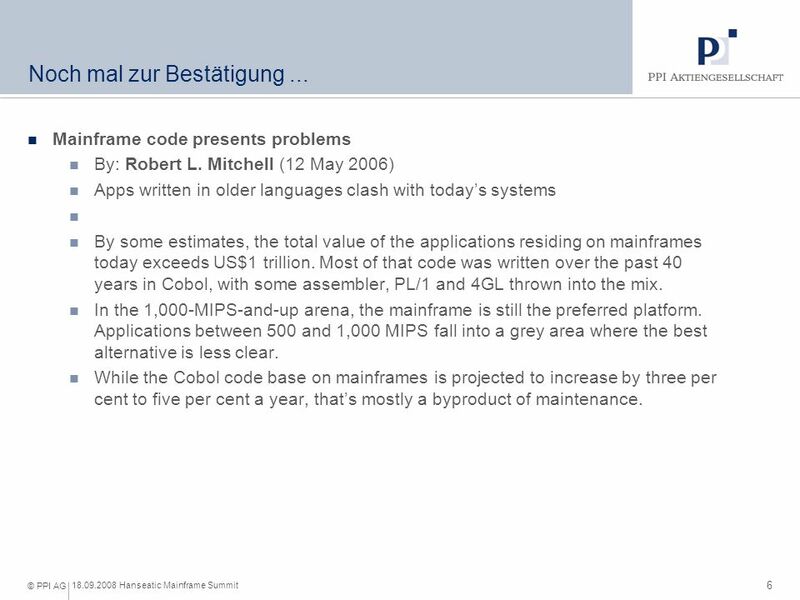 Mainframe code presents problems By: Robert L. Mitchell (12 May 2006) Apps written in older languages clash with todays systems By some estimates, the total value of the applications residing on mainframes today exceeds US$1 trillion. 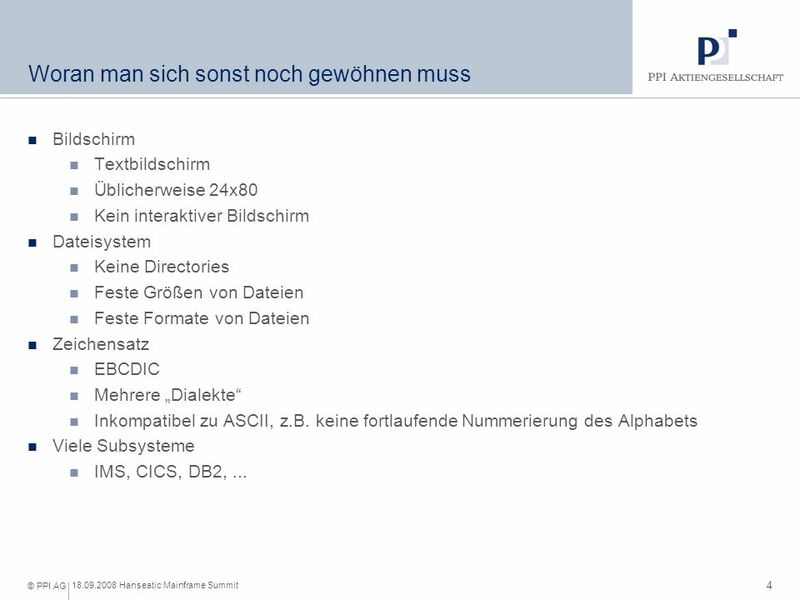 Most of that code was written over the past 40 years in Cobol, with some assembler, PL/1 and 4GL thrown into the mix. 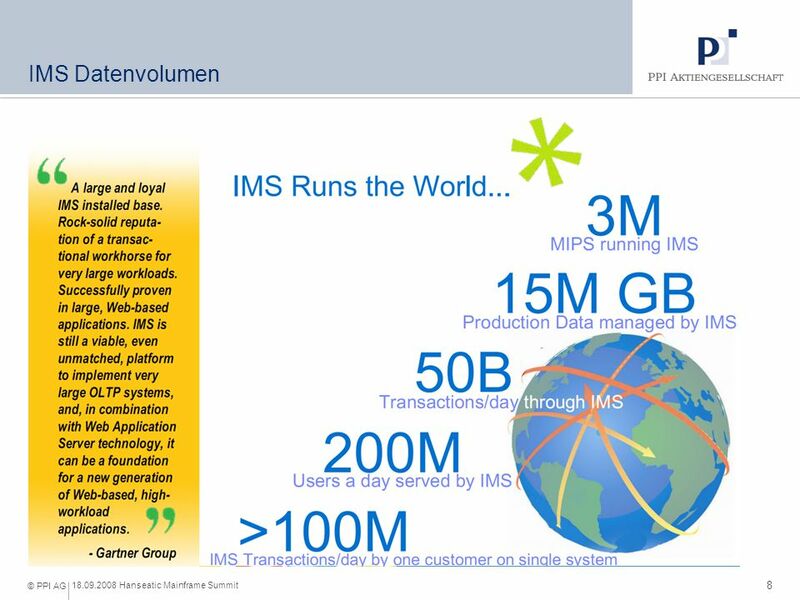 In the 1,000-MIPS-and-up arena, the mainframe is still the preferred platform. Applications between 500 and 1,000 MIPS fall into a grey area where the best alternative is less clear. 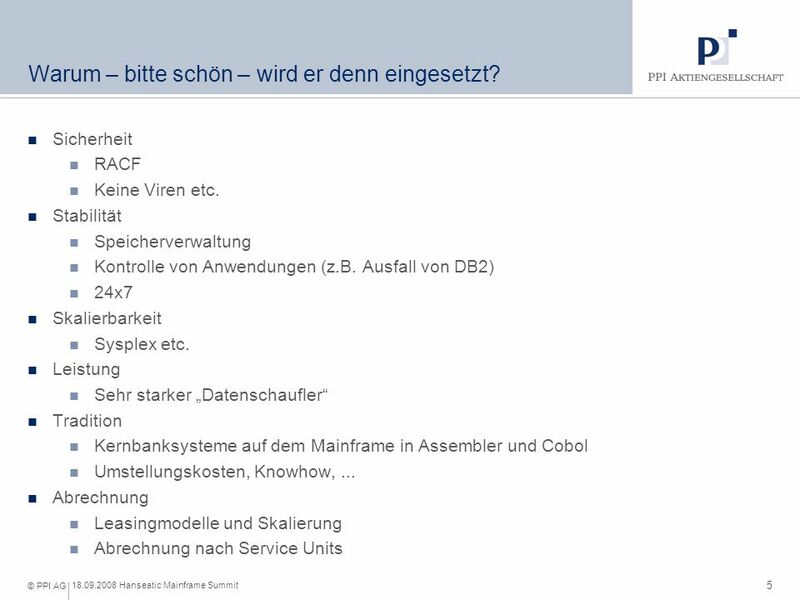 While the Cobol code base on mainframes is projected to increase by three per cent to five per cent a year, thats mostly a byproduct of maintenance. 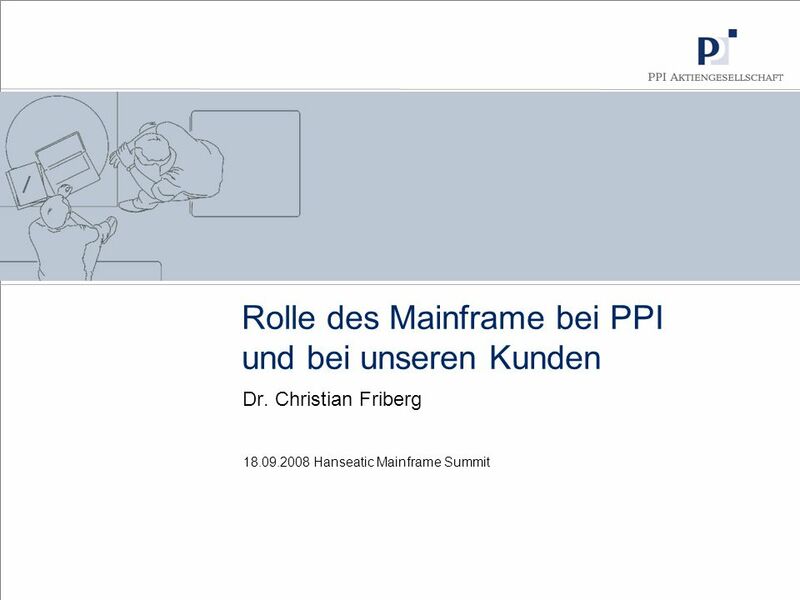 Herunterladen ppt "18.09.2008 Hanseatic Mainframe Summit Rolle des Mainframe bei PPI und bei unseren Kunden Dr. Christian Friberg." 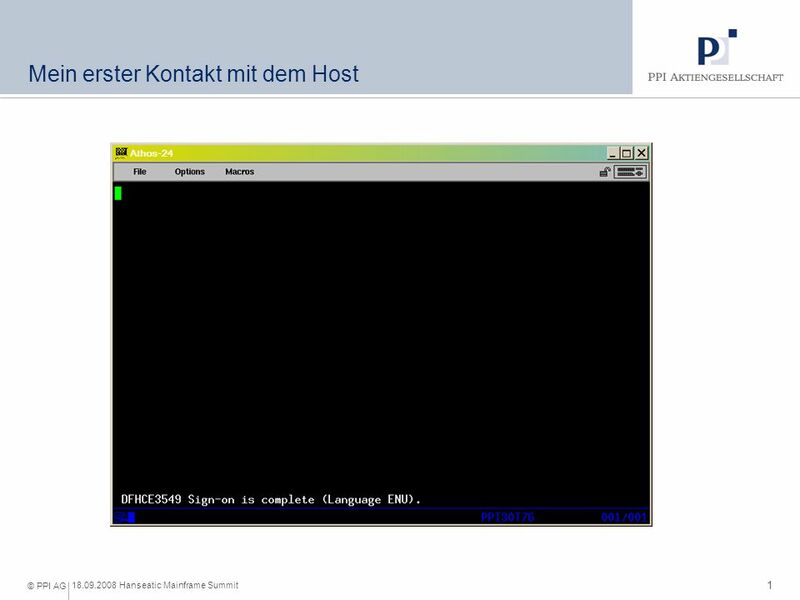 Die Welt der Konjunktionen otherwise known as subordinating and coordinating conjunctions. Kanton Basel-Stadt Folie September 2005 RR Dr. U. Vischer C. Tschumi. Als ich mein Gesicht As I my face In der Wasserspiegelung sah, In the water’s reflection saw, Lachte ich über die Erinnerungen, I laughed about the memories.